Church on the Hill's sanctuary is the ideal place to hold your wedding. With seating for up to 200 people, our sanctuary provides a beautiful, sacred setting for your ceremony. If you are interested in viewing the space, please call the Church Office to set up a time. If you are interested in reserving the space, please fill out the wedding form by clicking on the link below. Church on the Hill is home to a number of 12-step groups and the Broadway-Flushing Homeowners Association. 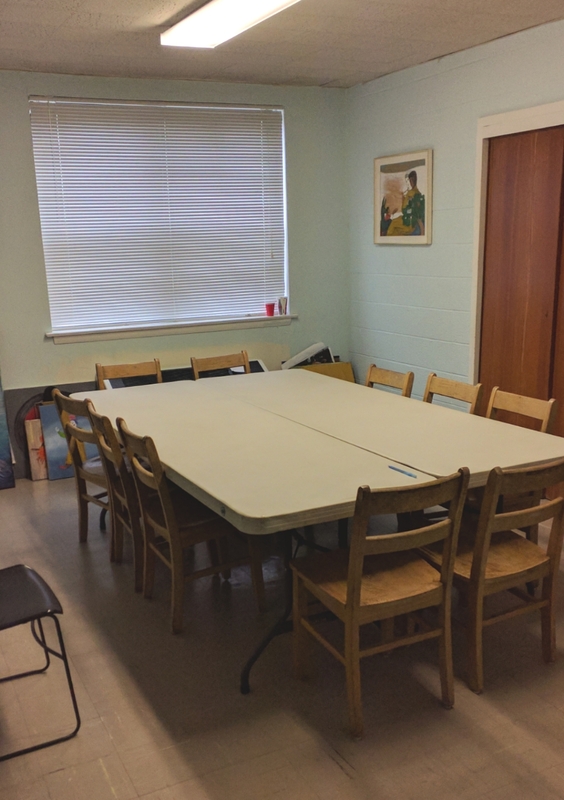 Is your group interested in using our space? Fill out the form below. A number of classrooms are available for use for your group. Call to arrange a time to see what classroom might work best for you! Our fellowship hall (named Gessner Hall) is available for baby showers, bridal showers, birthday parties or other celebrations. Gessner Hall comfortably accomodates 100 people.